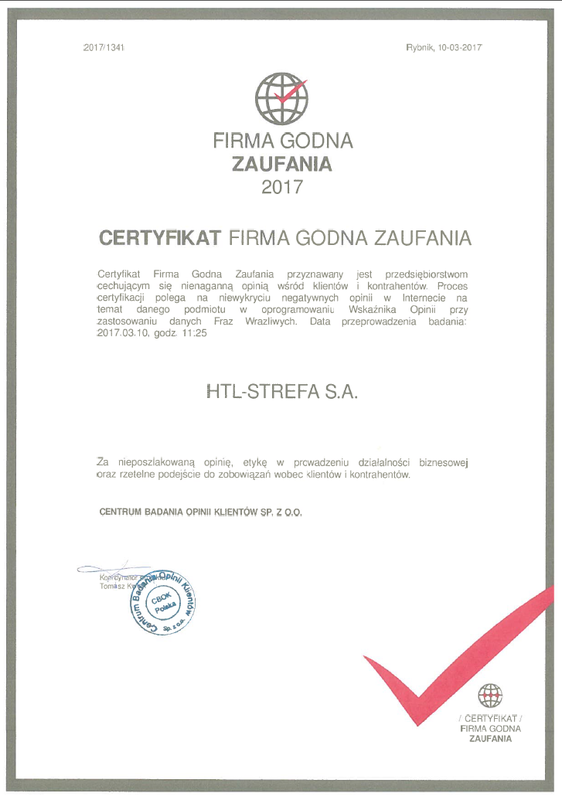 We are pleased to inform that company HTL-STREFA received “Trustworthy Company 2017” certificate. Without your positive opinions, great support and recommendations it would not be possible. We’d like to thank to our customers for given trust – we promise do not let you down.